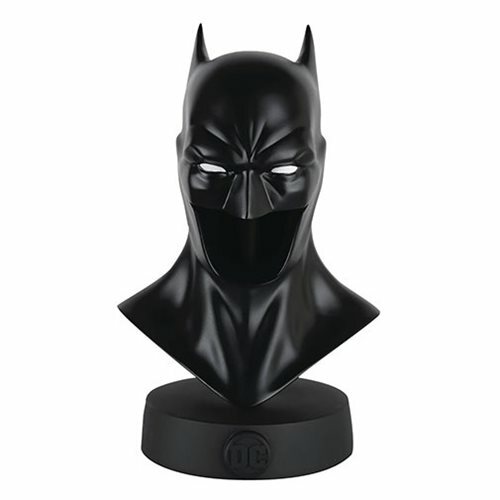 The Batman Universe Rebirth Cowl with Collector Magazine #1 is the first in a collection of statuettes highlighting Batman's iconic appearances from 80 years of comic book, TV, video game and movie history. This cowl is based on the Dark Knight's suit from Batman Vol. 3, the first new Batman title from DC Comics' Rebirth era. Each cowl is produced in polyresin and comes packed with a 16-page magazine. Measures roughly 5-inches tall.